The discovery of a single, fossilised bone could help scientists solve a puzzle concerning the largest land animals of all time – the Sauropods. Fossils of these giant, long-necked dinosaurs have been found on every continent, except one, the land mass of Antarctica. However, a team of Argentinian scientists have unearthed evidence that one group of Sauropods – the Titanosaurs may have roamed the southernmost continent after all. The fossil, believed to represent a portion of the dinosaur’s tail (caudal vertebra), was discovered on James Ross Island by an Argentinian-led team. The bone measures almost twenty centimetres in length and is believed to have come from the middle third of the dinosaur’s long tail. Although, it is not possible to identify the dinosaur genus from such a fragment of the skeleton, the scientists have stated that the bone probably belongs to a “lithostrotian Titanosaur”. The Lithostrotia are a clade of Titanosaurs (a group of anatomically and probably closely related, similar Titanosaurs), which are associated with Upper Cretaceous strata from South America and Madagascar. The discovery was first presented at a recent palaeontological conference held in Nevada, but it has just been published in the German scientific journal -Naturwissenschaften (translates as “The Science of Nature”). During the Cretaceous the super-continent of Gondwanaland in the southern hemisphere continued to break up, Antarctica had once formed part of this huge landmass along with India, Australia, South America and Africa but by about ninety million years ago, only Australia remained joined to Antarctica. As the break up continued, the land bridges that connected Antarctica to Australia became more and more tenuous until by the end of the Cretaceous, Antarctica was isolated. For much of the Cretaceous Antarctica was covered by lush, conifer and fern forests and it was much, much warmer than it is today, for this remaining part of Gondwanaland was heated as a result of ocean currents sweeping down from the equator. 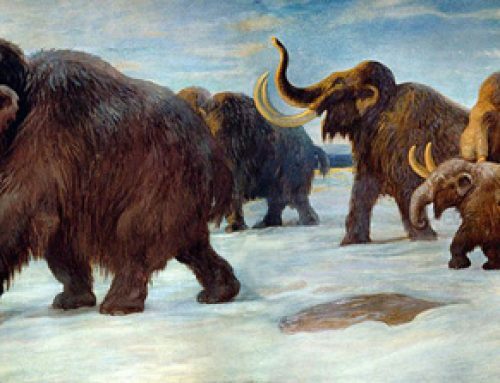 However, by the Late Cretaceous the climate on Antarctica had begun to change dramatically and this landmass became much colder. Scientists don’t know whether the Antarctica Titanosaur had dermal armour. The discovery of this single vertebra raises intriguing questions. For example, if there was a large, herbivorous dinosaur living on what was to become Antarctica as late as seventy million years ago (Campanian faunal stage), then the flora must have been rich enough to support such large animals. If there was a large herbivore in the ecosystem, could there have been a large, Theropod predator? Perhaps a “living fossil” such as an Allosaurid, a type of meat-eating dinosaur that had become extinct elsewhere in the world by the end of the Cretaceous but may have hung on in isolated pockets where other Theropods such as Abelisaurids or Tyrannosaurs could not reach due to the lack of land bridges. This is further prove that dinosaurs lived in Antarctica. There have been fossils of other long-necked dinosaurs found on Antarctica before, but as far as we at Everything Dinosaur know, these fossilised bones represent very primitive, early members of the Sauropoda family, know as Sauropodomorpha. An example would be the Early Jurassic Glacialisaurus which was discovered in 2007. 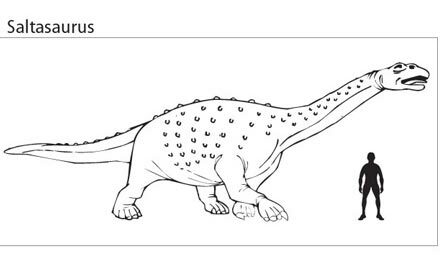 The picture above shows the fossil bone (pictures a-c) with illustrations (d-f) showing the fossil fragments in association to the rest of the single tail bone. The fossil is actually a centrum (central, cylindrical component of a vertebra). It is the concave/convex shape of the anterior and posterior portions of the centrum that have enabled scientists to identify this fossil bone as belonging to an advanced Titanosaur from the lithostrotian clade. The picture shows the caudal vertebra centrum viewed from the front (anterior view) in “a” and “d”; viewed from the right side (right lateral view) in “b” and “e” and finally from the rear (posterior view) in “c” and “f”.